Welcome to Day three of the process. I trust you enjoyed working through parts 1 and 2. Really enjoy today it’s a time for you to play with your imagination. The part of brain that most adults don’t get a chance to play with often enough. We live in a left brain dominant world, focused on logical, reasoning, analytical thinking.When it comes to this more imaginative, creative, intuitive right brained thinking like this process most people think “Oh! wait a minute” You see the left brain limits our imagination and goal setting capability. This left brain thinking is backed up by those who say you should set goals based on your current reality and your past experiences or that you need to have a plan first and know how you get there. Hopefully you can begin to see that this type of left brain thinking will limit the size of the goals you set and achieve. Yet the extraordinary men and women, in beginning couldn’t possibly set a plan because their goals were so huge and impossible. Take Mandela , 27 yrs in a cell and all the time he had a goal, a vision of being President and freeing his nation from the way it was set up. That type of thinking, of what you truly truly want is one aspect of Extraordinary Goal Setting. If you are new to Mindstore and our tools and techniques then you can trust us. 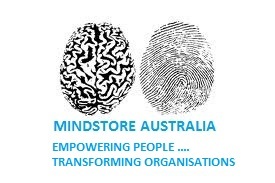 MindStore has been helping people set and achieve extraordinary goals for 25 years over 500,000 people around the world have participated in our sessions mainly via in house programs with their company or to ales extent at public open programs. Trust that if this didn’t work we would have been found out a long time ago. Open your mind to this if it’s new to you, trust yourself. This works. You will remember that I asked you at the beginning of the workshop to trust the process. Again today I ask the same. This is the time to use your imagination and to write down WHAT you really really want and desire to do be or have. Do not worry about HOW you are going to get there. If your Goals are compelling and inspiring enough you will have the desire to constantly use your imagination to go back again and again to look at them in your mind, to visualise your goals being achieved. That process and commitment of visualisation of the goals, is what will cause you to absolutely achieve them. What every you need to do you will do, as time goes by, yes you begin to make a plan, yes you get more clarity, yes you will understand the next step, but this is NOT IMPORTANT in the beginning. I need you to believe this critical part. It’s not up to you in the beginning to figure out how to get there, this will come through your imagination. You will begin to attract opportunities, circumstances and people to you helping you towards your goals because you have put energy into thinking what you want to do be or have. The amazingly funny Jim Carrey revealed on a chat show recently, that when he was a struggling actor in his imagination he would visualise a future where he dared to imagine that big billboards had his name and image on it. He even wrote himself a cheque for a huge amount of money and put it away. A year later he was all over the billboards with movies he starred in! and the cheque he received was for far more than he dared to write down previously. This stuff works! This process takes 11 minutes. This is always a hugely powerful part of our Personal Development training days for participants. 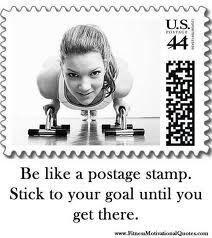 You are going to think of and write down 30 (or more) Goals that you want to do, be or have. Go for walk or cycle to help you get relaxed, self focused and ready. Find somewhere private to sit, get your phone out and set the stop watch for 11 minutes. Trust me I have done all this and it absolutely works. Often what happens is say after 6 minutes have passed you feel you have run out of ideas. Then go back to wheel look and see areas that need attention more goals will come from this, write them down. Maybe now there are just 5 minutes to go, imagine that I was to turn up and you show me your list. I am not interested in HOW you are going to get there or the logic of them. So I say I will give you in cash now $10million if you have 30 goals written down by the time your 11 minutes are up. I know and you know what you would do to get the money. You would make them up to make sure you got the money. Read this again. You would make them up! Using your imagination. You would get into a flow of ideas and start writing down the goals you made up. What we have found is that over the years people who do this and use the techniques achieve their goals regardless of how out there and impossible your left brain and inner voice or unsupportive friends might tell you is impossible. Like Jim Carrey some seemed totally and utterly impossible but what happens by committing to this process, writing out 30 goals is that they got all their goals. Have fun doing this if you get 30 Goals after 8 minutes, keep going, push on. Maybe you will get 40 or 50 goals. Then leave them in your subconsciousness overnight. Think about them, dream about them, maybe look on internet to see what the goals look like that inspire you. If you are new to this and I hope some of you are and not only MindStore members. I believe it’s important to share this, why keep it to ourselves? its not a secret? The truth is all of us deserve to live the life of our dreams. To enable us to have the life we truly desire. If you could live the life of your dreams how would it be? 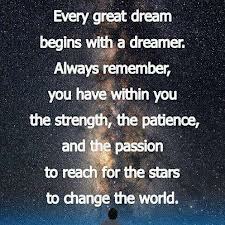 “Dare to Dream” as Whoopi Goldberg said in her final inspiring message to the audience when she hosted the Oscar ceremony. Once you have completed your list, put it and enjoy the rest of your day. Ready for our extraordinary last day tomorrow. Thanks for taking part and trusting the process. Welcome to day two of our Goals Setting and Achieving workshop. In the past people who have worked with us say they do sit down and write goals for the next year. Then nothing happens. I say that’s because it is not enough to set goals and write them down, you need a process some tools to make sure you keep being inspired by your Goals and remain committed to achieving them even once the challenges and demands on your time and self doubt and most importantly fear creep in. If you think about it if we could eliminate fear so that we could set goals knowing with certainty that they would be achieved we would all be champion goal setters and achievers. However the fear of getting out of our comfort zone to grow to achieve our goals, daring to believe that we are capable and worthy, are the biggest barriers to us all achieving our goals. The good news is that part of our process we share, is to give you tools to make sure that once you set your goals you have the confidence and commitment to see them through and achieve them. By now you should have in your notebook or scrap of paper a wheel of life filled in which may have highlighted areas that need attention and also on another sheet a GRATIFICATION LIST with 10 things that you are thankful and grateful for in your life at present. This gratification list and wheel of life will have been in your consciousness over night, so now we are ready for the second step. We need to make space for the future to come in, and clear out things that might be blocking out the future. As we know the New Year is fast approaching, but when I take time to reflect back on 2014 I cannot believe how fast it has gone. When I was putting the xmas tree up in early December I couldn’t believe it was a year since I last did this, life goes so fast it felt like only a few months. I am sure the same is true in your experience. Here’s the point, 2015 will pass in the blink of an eye for you and for your family friends and colleagues 2015 will pass to in a flash too, whether you have a bunch of goals your committed to or not. Truth is those of us who have set goals and are committed to them and using our techniques will have an entirely different year from those who do not set goals. What happens to you and I the goal setters is that once you commit, once you have goals slowly but surely people places and opportunities to achieve the goals are attracted to you. If other people who are not reading this or looking for this type of opportunity, friends family collegues who don’t set goals and see this as odd or strange then there year will whizz by too. The people places and opportunities that could completely change their life’s, will pass them by without them even being aware of them. What’s worse is that if you do not set goals you will find yourself helping others achieve their goals. Isn’t that a waste of your energy, time potential and capability? We know people like us who set goals are in the minority, your one of them and I urge you to share it. Why have this technique, this secret and not share it. Who do you know at work at home or socially who could do with this help? This next step is a critical part of the process, the ELIMINATION LIST. 10 things you will eliminate from your life starting in January and have them going out your life as the year goes forward. Things that no longer serve you or working against you. Commit to finding 10 and make the commitment to follow this through. In this session today, create the physical space for the future. Get a bunch of bin bags, commit to clearing out rooms in the house, cupboards, spaces where things we not longer need or use lurk, we all have a junk drawer in the kitchen! There will be things you use but also lots of things that you don’t don’t use and or broken or don’t work, perished elastic bands, broken pencils, chewed pens with no ink, bent paper clips, instructions for things you don’t have anymore. 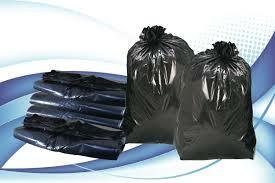 Get that drawer open and start filling the bin bag, its full of things that you won’t use this year or the year after. The truth is these spaces will fill up again, but they can’t just now, until you empty it out and make space. Under the stairs, under your bed, is it clear or full of things and your sleeping resting above them, think about that. What do you have in the attic that’s weighing down on you in some way? Take the stuff to the charity shops, or take it to the local waste disposal, get them in a pile out of way and get rid of them certainly before end of year. Also I strongly recommend wardrobes, clothes that you haven’t worn this year, you know which ones they are….that Kaftan will never come back into fashion! Clothes that don’t fit you affect your self esteem, get rid of them. You will feel better and believe it or not because you have space now it will fill up again as you get into a process of buying things again that make you look and feel better. Boosting your self esteem in the process. 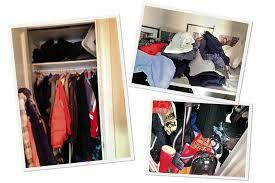 Other places include the garden, the shed, clear it out, the garage, the man cave!, what’s tucked out in the way. Get as much as you can cleared out . Clear out photos on your laptop pc, clear out old files you don’t need DELETE them off your laptop and PC, on your smart phone DELETE old apps you don’t use. Then when “the bells come” as we say in Scotland at the stroke of midnight on the 1st January you will know that you are ready to attract into your life, like a vacuum, the people places opportunities and material things to achieve your Goals for 2015 and beyond. Trust this process, trust me, this process works powerfully. Get the bin bags out and have fun! In your note book , journal, take notes, get the Elimination List written up after your Gratification List. Keep your notebook to maybe even do some more activities with MindStore in the future. Tomorrow we begin the process of identitfying what might be our goals for 2015. Have a wonderful day, look forward to sharing more of our MindStore Goals Setting and Achieving Tools tomorrow. PS Would love to read your comments about your experiences with clearing out and Elimination Lists as well as other related subjects to this workshop. As 2014 comes rapidly to an end its critical to turn out attention and mindset to goals for 2015. This is a time of beginings and endings. New Year is a time for setting and committing to Intentions and Resolutions. However for many sadly these resolutions are made in haste just before midnight on the 31st and forgotten less than a week later. Think about the resolutions you made to get fit, lose a few kilos, 2nd of January you hit the gym every day with all your friends the first week, then next week it was a bit wet so you missed a few days, then you worked late so missed another, then you felt like going home rather than the gym and you missed a few more days. Those missed days become weeks and before you know it because of our fast pace of life its 31st December again and time to make the same resolution again! Sounds crazy but sadly its true for many many people. If you have decided that 2015 is going to be different, for all the right reasons, if you have the desire to make it your best year every, but are not sure how to do it then this short workshop series is for you. Remember that if you are not visualising and programming your days weeks and months around your own goals then you are working toward someone elses! Make time amongst the post xmas busyness for these 3 days of personal development sessions. As Jim Rohn make time to “work harder on yourself than you do on your job” if you want success. Why not get yourself a plain page note book, and keep it for the year to note your journey as you go from setting your goals to seeing them achieved. This is a time to reflect where you are in the 12 key areas of our life. There could be more spokes on the wheel but I believe these 12 are critical. Go somewhere that is good for you, somewhere where you can think, somewhere you feel relaxed. 10 would be absolutely perfect, and 1 would be the exact opposite. No one is a 1, rate yourself. Put a mark on the scale for each segment for where you feel you are right now. Let’s start at 12 o’clock position if you imagine the wheel as a clock. Do this honestly with yourself. This is first because people around the world tend to get into primary relationships. Some will be in a marriage or partnership, and loving it, other will be saying how much longer can this continue? Others will be wanting to get into relationships, and some will just be out of one saying, they will never again get into a relationship. So we are all in different places in our own lives with this first part of our life. So are you a 10 everything fantastic here like or could it be better, rate yourself here honestly? Where are you with this is your family life loving, caring, supportive nurturing? Also think if you are driving a business forward have you missed any important family events because of work commitments, is there balance here? Its more about how do you get on with other humans beings, no one is an island, are you at ease with people, a shoulder to cry on, are you the life and soul of the party a 10? Do you buy development books, attend relevant courses and workshops, 1s send people on courses. Will you keep reading appropriate books and develop? Follow MindStore’s updates on twitter and LinkedIn? Where are you here? Is everything fantastic in your career are you a 10, or could things be better, is it time to change direction, maybe this exercise will help you to find inspiration. 7 out of 10 people would rather do something else! How do you deal with –ve situations. If your house burnt down today, would you be a 10, fantastic! I can now move to a new place, or would you be a wreck? Do you get up the morning thinking what will go well today? Are you +ve and vibrant person. Do you think about the negatives, what might go wrong? We are beginning to take ownership of our own health now be honest with yourself, where are you here? 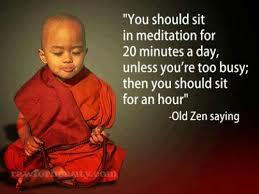 Are you making time to look after your health. What are you doing about it? How do you perceive your finances. Do you worry about money, or are you happy with the flow of money in and out of your life? Its more about how you feel about money than whether you are a millionaire. Is it a secure loving place; do you feel safe and good there? Do people get a good feeling when they visit it? Laptops, mobiles, do you keep them updated and current, is your fridge light on and serviced, where are you with servicing and upgrading in your life? It is very important in our lives, if we don’t take time for leisure and recreation how can we keep going at the pace we need in the rest of our lives? Do you work hard and play hard? Do you stay back at work because your boss does? Would you rather be at home with family? Have you noticed how book stores are groaning with spiritual book, that weren’t there 20 years ago? Someone’s buying them because bookstores only keep books on shelves that sell. Research shows amazing trends in spiritual growth. People are searching for something taking more personal ownership of their spirituality? Are you in tune with your true inner self. Are you living the best life you can ? Where are you on this scale? Interestingly people tend to get interested in this at aged 36-42 research says because at this age we have experienced enough of life and of people around us dying that we begin to question ,what’s this all about? Now what to do is join all the marks up. Good news if it’s all over the place your normal! Idea of this exercise is to show you where you are out of balance in your life. And it starts us thinking about possible goals to make 2015 the best year ever. If you’ve done this honestly then you probably know already what they might need to be. On another page write out 10 things you are really grateful for. Take time to think about this step. Write them in CAPITAL LETTERS. Really mean what you write down. This provides a foundation for inspiring goals for year ahead. Look at your wheel for ideas, relationships, family, career, health, family, what you have achieved, write out 10, and leave them to soak into your subconscious overnight, and then tomorrow we begin the 2nd phase of the process. A quick Tip : you will need some bin bags! By the time you and I get to end of this process we will be heading into 2015 truly inspired with powerful goals. Are you too busy to make time for yourself? This is a busy time of the year for everyone personally and in business. However learn from the picture above. 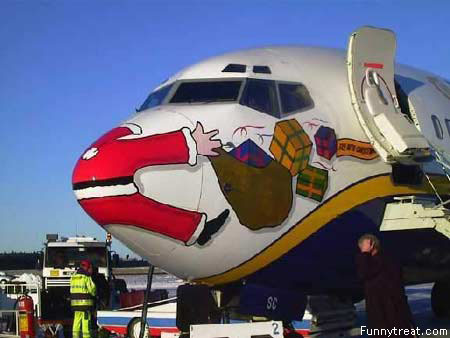 Unlike the jolly guy in the red suit above, always take your time, look out and be prepared mentally and physically for any unexpected events! As the holiday season approaches like a jet plane!, we find ourselves reflecting on the past year and those who have helped to shape our year and our business. It has been a fantastic year for us all at MindStore. We trust that 2014 has been just as memorable for you, your colleagues and your loved ones. We look forward to working with you in the years to come. We wish you all the happiest of holiday seasons and good health throughout 2015. Thank you for making the time to read this. Best wishes for the holiday season to you all! As we go head long into the season of goodwill to all men (and women!) we can find ourselves focusing on others needs, wants and desires so much that come 26th December we feel exhausted! If this sounds familiar, then decide to make changes. Decide to share goodwill with yourself, book time for you. Take yourself off to a place of relaxation for you with a blank notepad and pen and start to think about your year. Remember the great goals and plans you had in the first week of January, reflect on how they often slipped, why was that? what could you do better next year? Reflect on your year, learn from its lessons and then decide to make 2015 better. Start now by asking for a copy of our planner, go through it and follow the process. Then commit to it, make a promise to yourself that this time next year you will be reflecting on a list of written down goals and you can see yourself in your imagination ticking them all off, because if you have a written down plan and you are committed to sticking to it, then you will get the results you desire. That’s just how it works. At MindStore we are passionate about helping everyone to rekindle simple ways of thinking to improve performance from Ordinary to Extraordinary. This holiday season give yourself the gift of time. Time for yourself. To think, to reflect, to imagine your future, and to transfer your visons and goals onto paper. If you want 2015 to be better than 2014 then email me your address and I would be delighted to post you one of our quarterly planners and tips for using it. This will enable you to think maybe for the first time without limits, to write down goals and the type of future you truly desire.